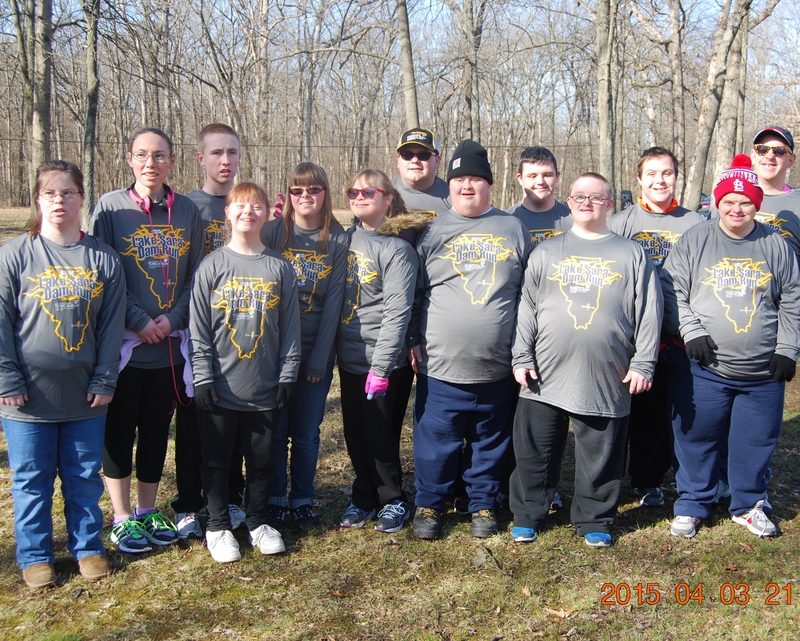 On April 4, Illinois State Police District 12 hosted the 17th Annual Lake Sara Dam Run and raised $4,000 to benefit Special Olympics Illinois. The Special Olympics athletes from the Effingham County Lightning team have volunteered at the Lake Sara Dam Run for the past 15 years by manning the water stations on the courses to encourage the runners and walkers, hand out water, and cheer on fans and friends as they proceed. ECL athletes also ensure that each of the participants receive a medal as they meet their destination. The excitement is evident in the faces of the Effingham County Lightning athletes as that role is reversed, and they get the opportunity to award a medal to a runner or walker. 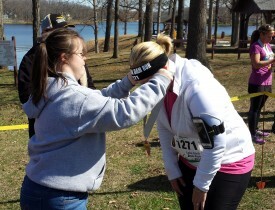 Genuine hugs of thankfulness and congratulatory “Pats-on-the-back” are also often awarded to runners and walkers by the ECL athletes.